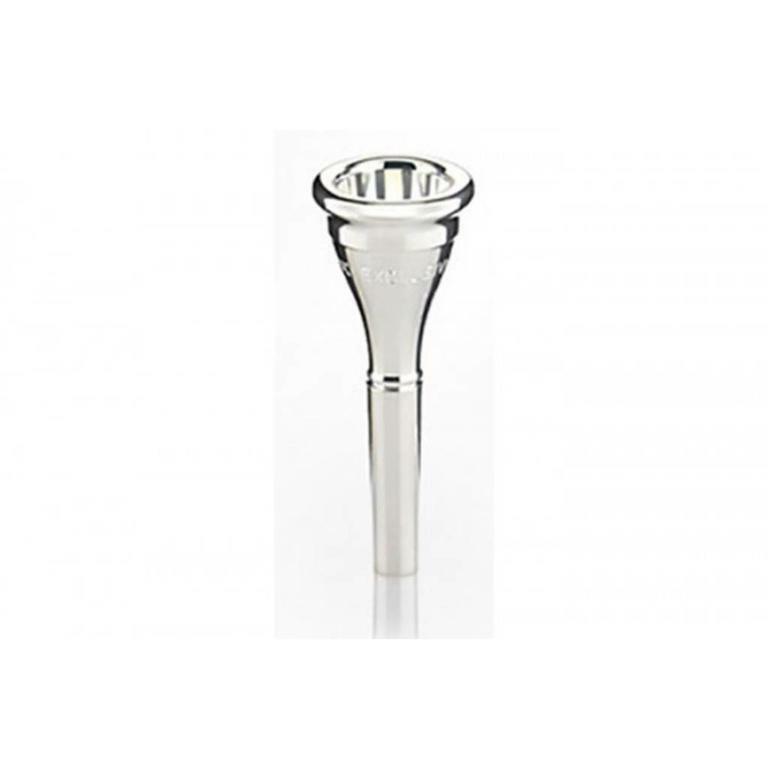 Many producers of mouthpieces use model designations, which provide only insufficient information about cup diameter, cup depth and rim contour. At an early stage, Roland Klier noticed the disadvantages of these model designations which resulted for the brass player looking for a mouthpiece. In 1964, along with the Exclusive Line, he drafted a logical and easy-to-understand system of designation, which enabled the player to recognize all relevant data from the model number at first glance. In addition, he develops a revolutionary concept of combining cup, bore and back bore, allowing the usage of Klier mouthpieces in every musical style. The exceptionally large selection that the Exclusive Line offered provided every brass player the possibility to find his personal mouthpiece. Moreover, the rim contours of trumpet, cornet and flugelhorn mouthpieces with the same cup diameter are identical. This allows the player to quickly switch without any difficulty. The unique outer shape of the Exclusive series is the result of numerous tests which had the aim of elaborating the optimum weight of the mouthpiece. It has established itself as a distinctive feature of the JK Exclusive series. The Exclusive Export Line is an enhancement of the Exclusive series. The rim diameter and shape are identical to those of the Exclusive series, allowing hassle-free switching between the series.